Here's the whole group of skeletons together... In spite of the fact that they are all the exact same fig, they turned out pretty well, and look not too uniform. 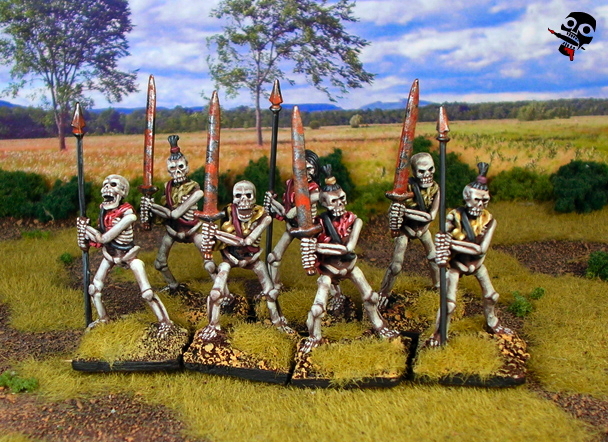 They should keep me in the money for skeleton skirmishers for some time! And, these, along with my undead Hordes of the Things army figs, could eventually be used together for Wargammer action if I ever see fit to go that way again!